After months of enviously watching our colonial friends play, we in the United Kingdom have finally gotten our hands on the gadget that has been making waves since last year; the Google Chromecast. No strangers to internet streaming, we were keen to see how the plucky little dongle would fit into our arsenal of tech, so we blew the dust from a spare HDMI port on our TV and rammed it in. So all you really need to concern yourself with is the interface. Plug it in, set it up on your phone or tablet, and you're up and running. The first thing you see, unlike with, say, a Roku player, is a lovely big scenic background and no choice to do anything. 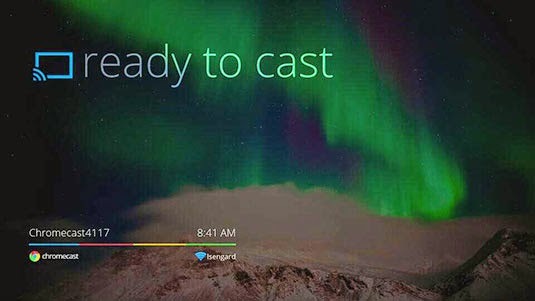 There are no channels, no options; just the Chromecast waiting patiently for you to 'cast'. 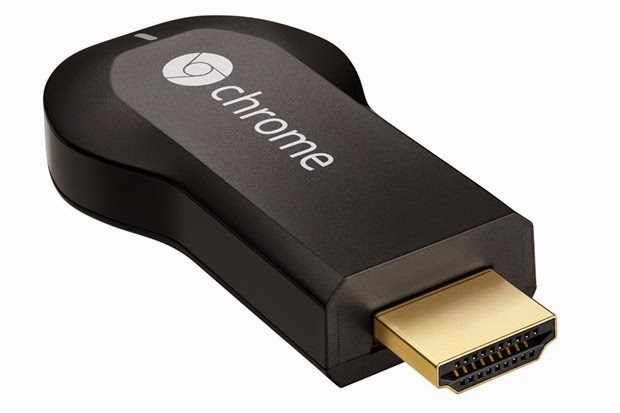 This is where you need Chromecast-friendly apps, the first to mind was of course being Google's YouTube. 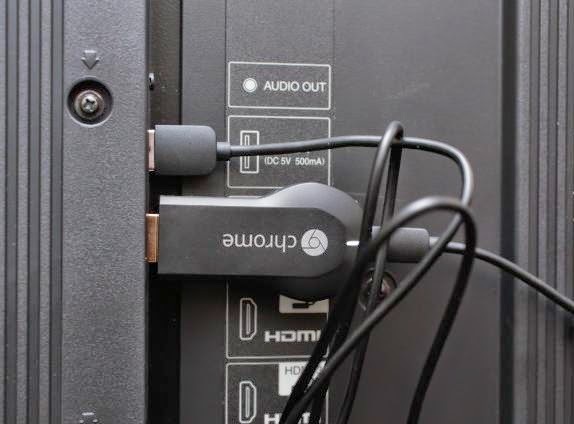 If you have an up-to-date version of the app you'll see the Chromecast logo appear in the top right of any video you play, inviting you to cast it to your TV. This we did, and we were mightily impressed too. The quality from YouTube of course depends on the quality of the video being streamed, but something high definition looked glorious, with no lags or loss of picture/sound synchronisation. So for we Roku diehards, which lacks a YouTube channel, Chromecast has already paid for itself tenfold. Obviously there is also Netflix support, bringing our favourite film and TV vault to the big screen, as well as the ability to 'mirror' your Google Chrome browser window from your PC or Mac, handy for site streaming and showing your grandparents your Facebook pictures. Apart from other dedicated apps, such as RedBull TV and the Goggle Film & TV Play store, there isn't all that much right now... but that's okay with us. 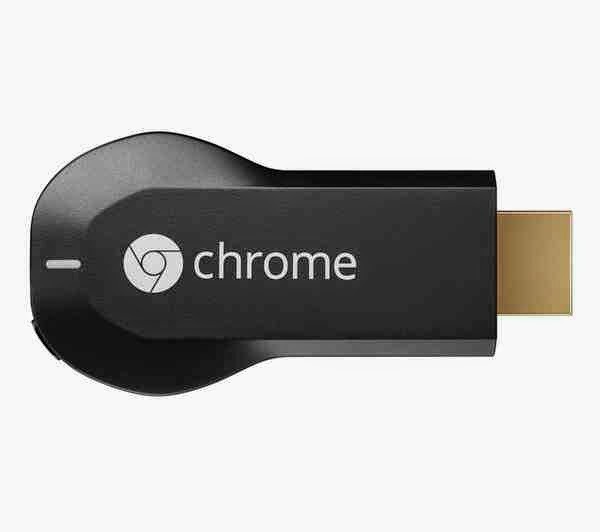 The potential for Chromecast has yet to be unleashed, and now that Google has released the developer code, you can expect a million and one apps to flood the app stores soon. Gaming, for example, is something that will no doubt boom in the future, with your phone and tablet essentially becoming glorified game controllers. Buy one right now, and we do genuinely recommend you do so... just don't expect all that much at the moment. Use it for YouTube and Netflix and enjoy doing so, but be confident that you essentially now own a smart TV and are ready for future entertainment developments.